Rather than launch a major infrastructure overhaul, WHUD looked at the challenge through a digital lens: could it wring more performance and productivity of its existing assets with software and smart hardware? Delivering water by plugging leaks can be three times less expensive than new facilities. 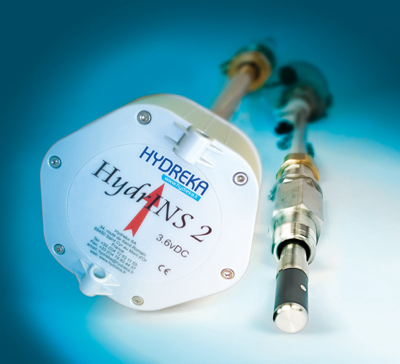 To that end, WHUD segmented its service territory into 33 district metered areas (DMAs) with Hydreka’s Hydrins2 insertion meters, a product distributed through Matchpoint. Data from this network of meters was then delivered to OSIsoft’s PI System, a software platform that collects, cleans and structures data from different devices to give engineers and technicians real-time insight into their overall operations and asset health. By combining data streams from the network of Hydrins2 meters and other assets such as pumps and valves already tracked by the PI System, WHUD was able to determine that it was losing approximately 32% of its water through main leaks. PI System data was then streamed into ESRI’s ArcGIS mapping software to precisely pinpoint the location of leaks. In less than four days, WHUD found a leak spilling approximately 147 million gallons a year, or enough for 2,239 homes, which cost WHUD over $300,000 annually. Because it was in a rural part of the district, local residents believed the leak was a stream. In two years, WHUD has been able to recover $900,000 worth of water. The ‘smart meter’ approach also allowed WHUD to avoid $200,000 worth of SCADA upgrades and recover $30,000 in employee time and productivity. Rather than having to wait six hours or more for data, repair technicians and others can get a status report detailing equipment health, energy consumption and maintenance issues, and other information within minutes after collection. Perhaps most importantly, WHUD was able to avoid the $15 to $20 million capital expansion. Interest payments on the bond payments alone would have come to $600,000 per year, the utility estimates. WHUD predicts it will not need a major capital expansion until 2028, or 11 years after it took the digital first approach. WHUD is currently reducing water loss at a greater pace than legitimate customer usage appears in total water pumped through the water treatment plant!